At the Special Operations Forces Industry Conference (SOFIC) today, UTC Aerospace Systems announced the release of its new TASE400 LD optical and laser designation payload system for small to midsize UAS (unmanned aerial system) applications. UTC Aerospace Systems is a unit of United Technologies Corp. (NYSE: UTX). At 7 inches in diameter and 10.6 pounds, with a laser designator that is fully compliant with NATO STANAG 3733, the TASE400 LD is one of the industry‘s lightest laser-compliant optical payload systems for UAS applications. As a result, UAS users in the U.S. Department of Defense (DoD) Group 2 (21-55 lbs.) unmanned segment will now be able to reap the benefits of a laser designator capability for the first time, while users on the lower end of Group 3 (less than 1,320 lbs.) will also be able to utilize the system. The TASE400 LD is the latest addition to the company’s TASE family of systems that are operationally proven, having flown hundreds of thousands of hours in the harshest of unmanned military environments, including missions for U.S. Special Operations Forces. 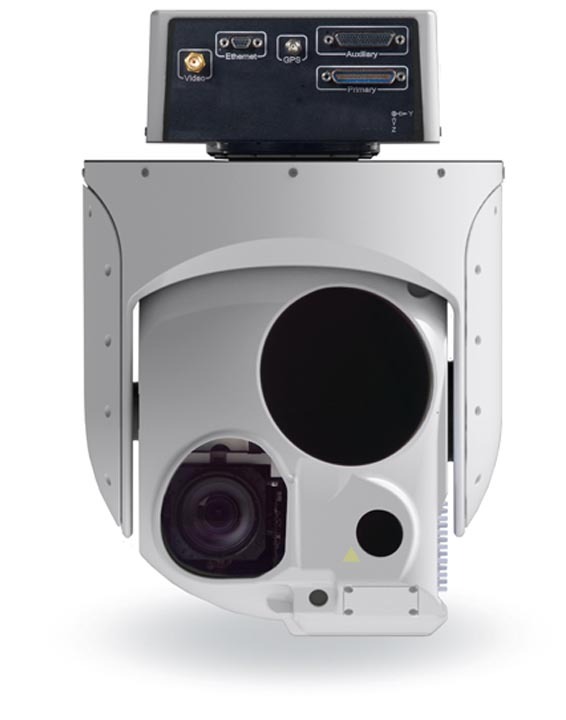 TASE400 LD provides operators with day/night, visible/mid-wave infrared (MWIR) imaging capabilities for improved situational awareness and an optimized lens design for enhanced object recognition. Integrated into this system is on-board video processing with image stabilization, overlays, picture in picture (PIP) and enhancement capability. An on-board GPS/INS with integrated geo-pointing and ViewPoint tactical PED (processing, exploitation and dissemination) provides operators the ability to multitask, record and disseminate critical data for use at their fingertips. The system’s laser designator is compatible with all NATO guided munitions and semi-active laser seekers. Today’s announcement follows the recent release of the company’s TASE250 optical payload for the DoD Group 1 and 2 unmanned segments.